ViewRich Platform is a technical framework for building complex data analysis algorithms and rich data visualization applications. It is typically useful for software vendors that are in the BI, CRM analytics & SRM analytics space. It helps in modernizing the analytics products. It is a “configurable” software component that can be blended into your software product. This seamless integration helps in branding the ViewRich technology as your software product. 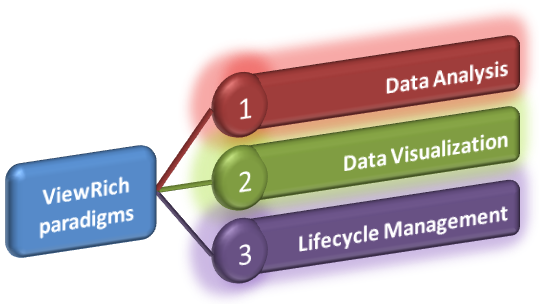 ViewRich Platform brings in three paradigm shifts in Business Intelligence. In today’s world, the meaning of the phrase “Business Intelligence” has reduced to slicing & dicing. To develop a deeper insight into the data, corporations are relying on software products that specialize in data mining. A new job definition called “Data Scientist” has emerged. 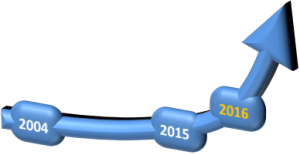 Predictive Analytics has grown into a well defined discipline. ViewRich helps in fusing business intelligence, artificial intelligence, data mining, knowledge discovery, predictive analytics and situation intelligence into one software offering. ViewRich encompasses several algorithms for data analysis that help in developing deeper insights. 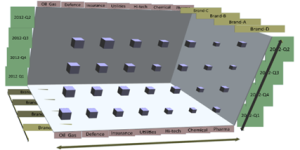 Our research shows that a human can develop a better insight of the data with 3D visualization. A three-dimensional scene that is guided by a two-dimensional navigator makes a more profound impact on the human brain than the flat charts offered by current day BI applications. Inherently, every data has shape. ViewRich helps in discovering the shape of your data and presenting it in a more consumable and analyzable manner. 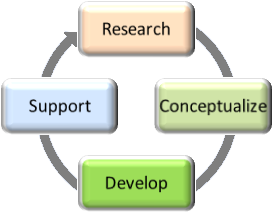 Product Lifecycle of a typical software vendor consists of Product Conceptualization, Market Survey, R&D, Development, Quality Assurance and Product Support. ViewRich saves you all this grunt work. Instead of wasting the time reinventing the wheel, you, as a software vendor, can concentrate your resources on marketing. This can drastically reduce your cost of software development and increase profitability. At a fraction of the cost, you can modernize your BI product and catch up with the competition. You always stay abreast of the competition. You just configure ViewRich, blend it with your product and brand it as yours.